As soon as problems can be identified, a plan should be formulated for the eventual correction of each problem. Each problem has a “best” time to make the correction. 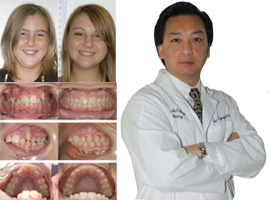 A crowded tooth may be straightened at any time, but if a tooth is straightened and held in the corrected position for a longer time, then retention of this new position is improved. Some bite problems are best treated during periods of growth, while others require a significant amount of patient cooperation and may be better treated as an adult or child. Many problems can be identified as early as age 6-8. The American Dental Association (ADA) recommends children to have an orthodontic evaluation by their dentist by 7 years old, in case there are any corrections that can be better corrected early. Missing permanent teeth, bite discrepancies, impacted teeth, and skeletal problems can all be identified on x-rays and visual examination by trained dentists.